You may remember seeing Jake and Julianne’s engagement blog post not too long ago. If you read that or if you just know them, I don’t have to tell you how absolutely precious these two are. Not only together, but as individuals as well. Both of these two young people are caring, compassionate and genuinely nice people. What I didn’t know, is just how much their wedding day would display Jake’s protection and love for Julianne. You see, Julianne had been very ill the week before their wedding with doctor visits and IVs, meds and rest. When she felt great on wedding day morning, we were all relieved. Unfortunately the heat at this gorgeous summer wedding would prove to be too much and cause all of the energy she had mustered up to turn on her and fail her. But I’ve never in my life seen someone so sick look so beautiful or act so gracefully. Looking through this day you’d never know she was struggling, because she held all of her poise and beauty so well. And Jake was her strength each time she would feel sick again. It helps that he’s a nurse and knew exactly what to do for her. This couple displayed so much strength and dignity during these bumps in the road and their family and bridal party was right beside them every step of the way. Speaking of which, we left this wedding with such full hearts because every person we encountered was so incredible to us. So loving, so encouraging. One member of the family even made me (Lindsay) cry when I hugged her bye with her precious words of encouragement to me. It was so breathtakingly beautiful from start to finish and I wish my words did it justice but I suppose the photos will have to do. Here are some highlights from this amazing wedding day. On the right, her grandmother’s necklace… I think we decided she looked like Elizabeth Taylor. Consequently, also her grandmother’s name. This first look, y’all. The sweetest girls. And I still know all of their names 🙂 These fellas were awesome too. Although one got “fired”, we let him back in. Brandon always kills with groomsmen shots Mitchell White with the florals <3 This next set of photos is ABSOLUtELY POSITIVELY why you should build at least a few minutes of golden light photos into your timeline. Yes, even when you have a first look. 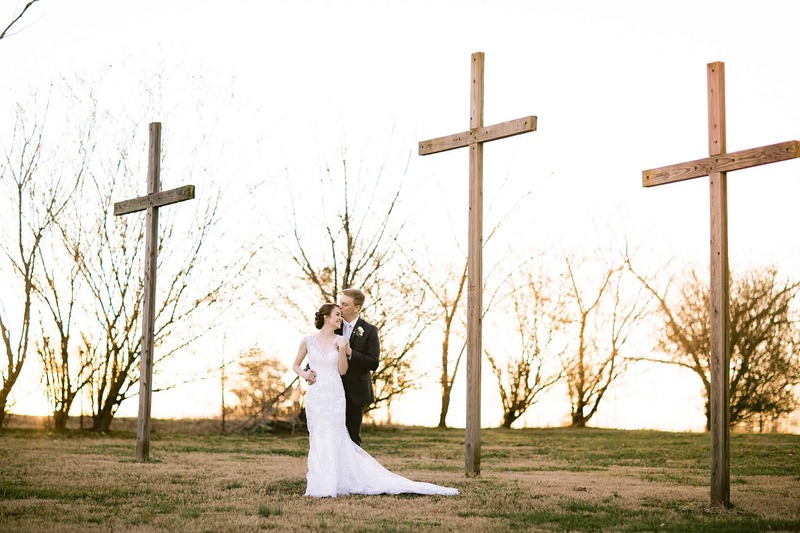 This sweet couple trusted when we told them to run with us to this field, and I’m betting they’re glad they did…I was SQUEALING!!! I died. I am dead. I can’t tell you how happy this image makes me! When we tell our brides to get longer sparklers, they have time for a little fun. At this point, our couple was already gone in the getaway car, and their parents each took a turn through the line! So cute!